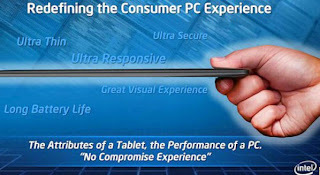 Ever wondered someone somewhere raving about Ultrabooks! Most of you know what a laptop is but if you want to know what this new paradigm in personal computing is, here I am to help you understand what they are. Intel® Rapid Start Technology1 returns your Ultrabook™ to full operational power within seconds, so you can jump right back into everything you were doing. This ultra-responsive capability gives your device the power to resume in a flash when you’re ready, and ultra-low power consumption when on standby. So you’ll save time and get longer battery life. Your Ultrabook™ just got a lot more responsive. Intel® Smart Response Technology2 quickly recognizes and stores your most frequently used files and applications where you can access them right away. You’ll save time and power with faster access to the content you use and love the most.